If you’re tossing and turning at night there may be techniques you can employ during the daytime to help energize yourself, and fall and stay asleep more easily later. Waking up at the same time every day is an important part of this – try and give yourself a sufficient amount sleep that allows you to wake up naturally with no alarm, and keep this pattern over weekends and holidays if you can. Make sure to attempt the same sleep schedule every day. If you have had a bad night’s sleep and are struggling to function normally, napping can be an effective solution, it’s certainly better than just sleeping in and ruining your body’s natural sleeping patterns. It is important, however, to keep napping short and sweet (about half an hour) and not to do it too early or late in the day as it could add to your sleeping difficulties. In the mornings try and soak up as much direct sunlight as you can – this will signal to your body that it’s daytime and cause it to release chemicals that energize you. Similarly, try and get out into the light during the day. Go out during lunch breaks, and keep your curtains open. Doing lots of exercise during the day is another way to improve your health and help you relax in the evening. Just as you should try to wake up at the same time every day, you should try and go to bed at the same time. Everybody varies, but choose a time when you usually begin to feel tired, and that gives you enough time (count in 90 minute increments) to get a good night’s sleep. 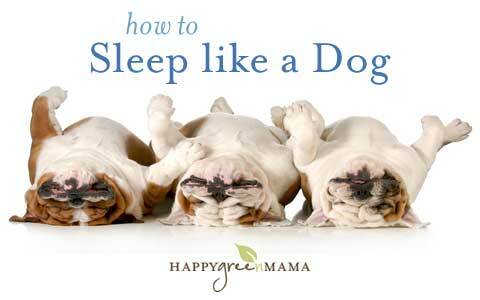 If this requires a significant adjustment to your usual sleeping habits, make changes slowly. Avoid eating large meals just a few hours before bedtime, as this can give you digestion problems and can stop you from getting a good night’s sleep. If you find yourself feeling tired before your bedtime, as people often do after eating their evening meal, try and keep yourself alert for a while longer. It is important to signal to your body that it’s time to sleep, and just as light is useful to wake yourself up in the morning, darkness is necessary in the evenings. Avoid bright screens before you settle down, turn off bright lights – using a dim lamp instead, and ensure your curtains are drawn and your room is dark before you sleep. If you can’t get your room completely dark, try a sleeping mask. Most people wake up briefly at some point in the night, however, we fall back to sleep with ease and often have no memory of stirring at all. If you do find yourself waking up, try to maintain a darkened room. If you need the bathroom, go in the dark or use a torch so as not to signal to your body that it’s daytime. If you notice you wake up often or fail to feel refreshed in the morning this could be a signal of a sleep disorder. Commonly, snoring or sleep apnea can cause you to wake up often in the night and feel sluggish during the day. Lifestyle changes or stop snoring mouth-guards and devices are often used to tackle the issue and restore restful sleep. If you are sleeping well, you should wake up feeling refreshed and have energy. If you do wake up, try not to let your mind wander onto your to-do list for the next day, worries you may have, or let yourself become anxious about the fact that you’re awake. If you wake up worried about something, write it down on a piece of paper to revisit the following day. Try and keep your muscles as relaxed as you can, practice breathing exercises, and keep your mind on pleasant, relaxing thoughts. Resting your body and mind is still beneficial, even if you aren’t sleeping. If you still find yourself tossing and turning, remain in a dim light, and avoid screens on your phone or laptop. Try stretching, reading, meditating or drinking a warm drink such as chamomile tea.